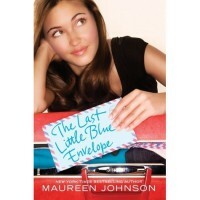 The Last Little Blue Envelope (Little Blue Envelope, #2) - Lis Les Livres- Read Books! http://lisleslivres.blogspot.com/2012/12/review-last-little-blue-envelope-by.htmlCharacters: Ginny initially seemed determined to get together with Keith after their little flame was ignited in 13 Little Blue Envelopes. Except, then Oliver joins, and Keith turns into a total jealous boyfriend even though him and Ginny were never together. I'm sorry, but I hated Keith this time! He is just so immature in this book. Oliver seems very elusive up until the very end, but never malicious to Keith. If I were him, I would have snapped at Keith, which just shows his sangfroid. Plot: They're off on another fun road trip. I'm so jealous of these characters because I love traveling! Anyway, the book's not too plot driven, but finding out the mystery of Oliver is quite intriguing.Would I recommend this to a friend? Of course! 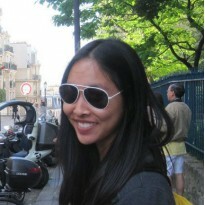 I love Maureen. Her writing is just so fun and cute!